The Nail Polish Guru: Zoya Press Release: Spring 2014 Zoya Magical Pixie! 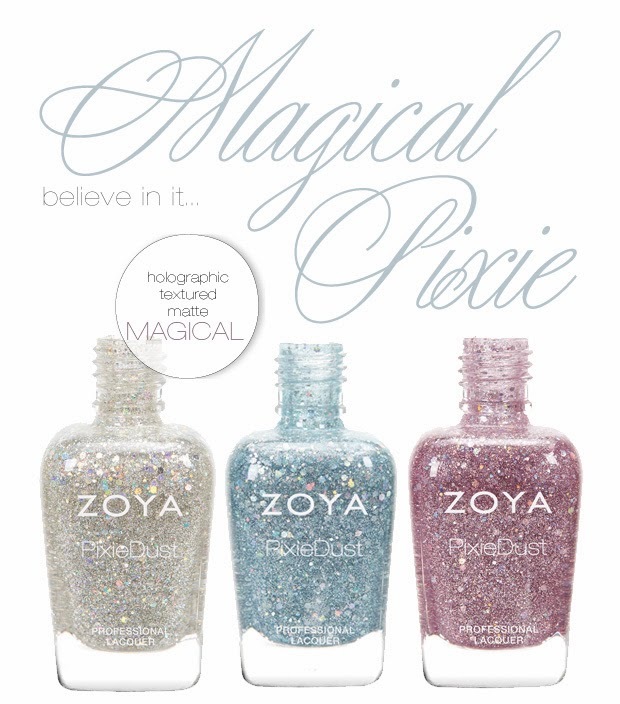 Zoya Press Release: Spring 2014 Zoya Magical Pixie! So just last week I showed you the upcoming Awaken collection and Monet from Zoya but that's not all they have in store for us for Spring! These new Pixies look amazing!!!! Do you plan on purchasing any of these? Any specific one that you want the most?